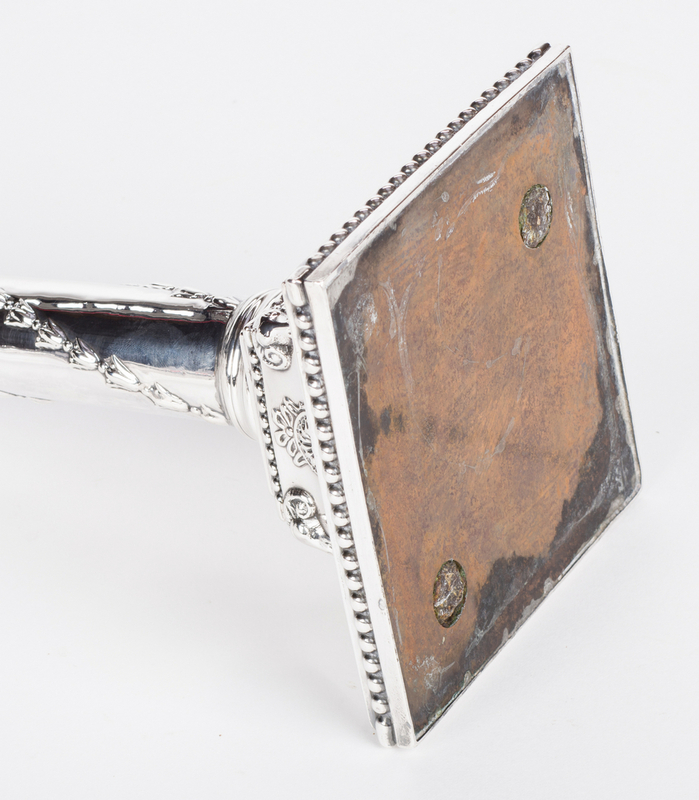 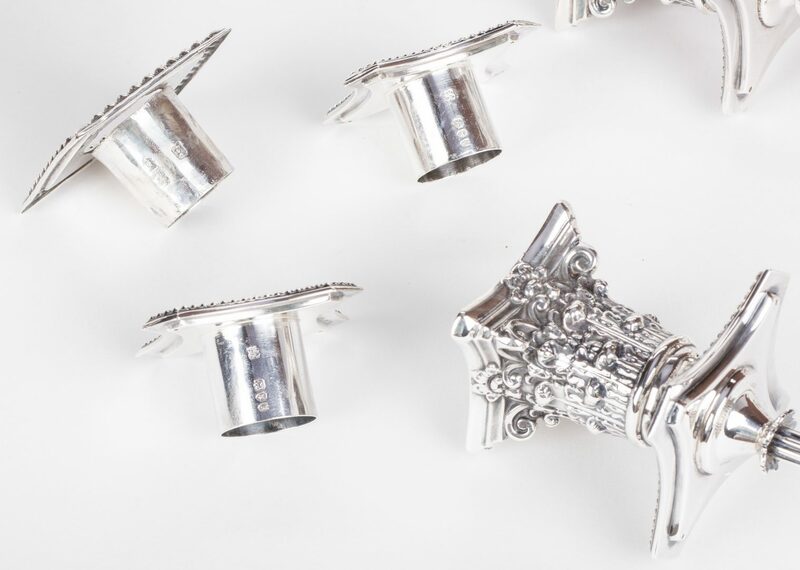 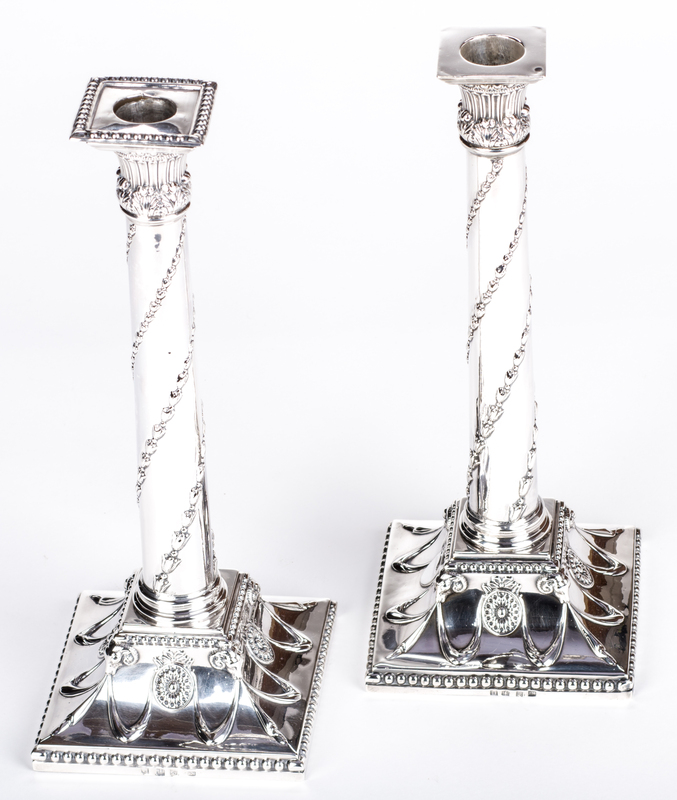 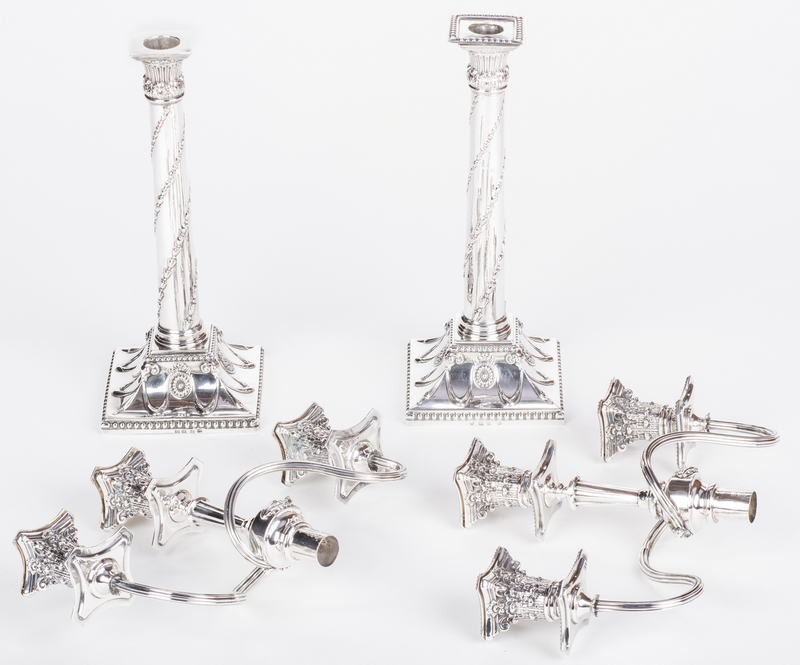 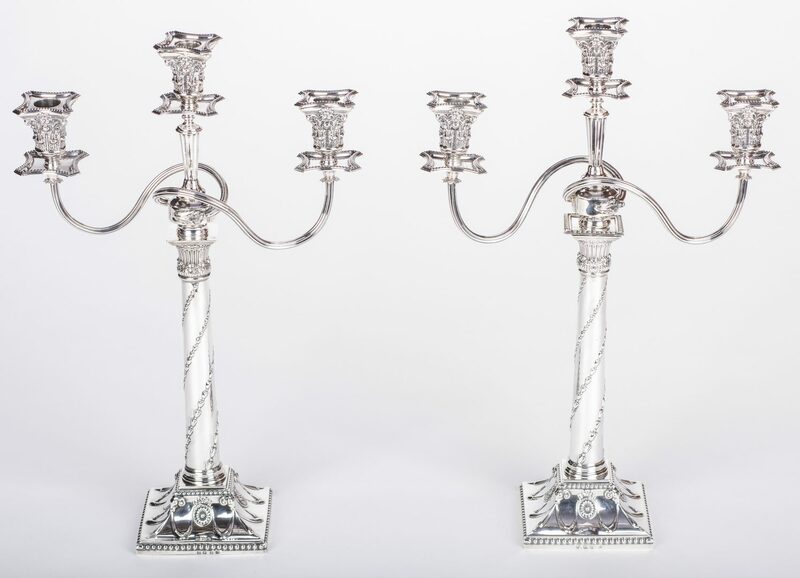 A pair of 18th century Scottish sterling candlesticks with associated English sterling branches. 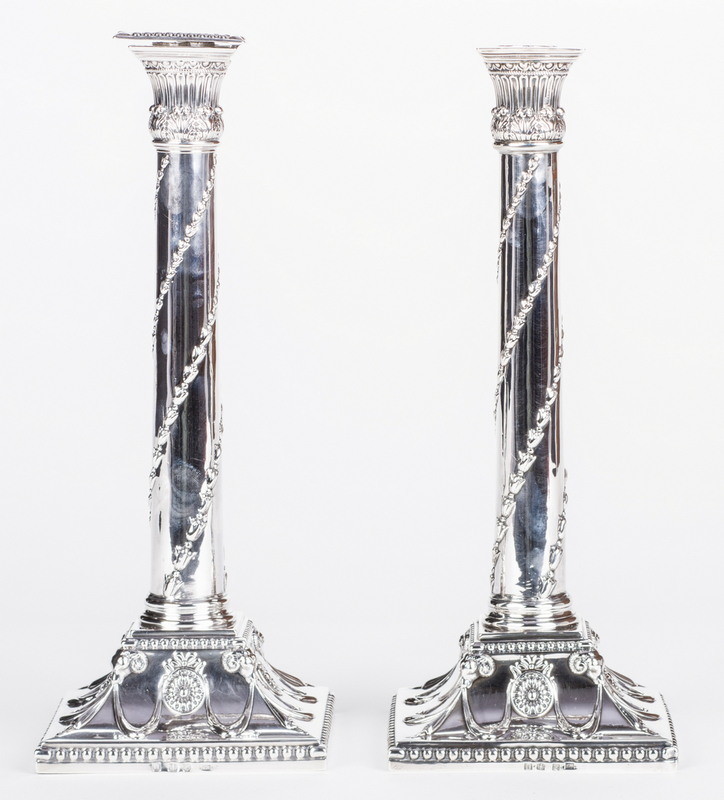 Candlesticks are modeled as Neoclassical style columns having egg and dart and acanthus capitals, the shafts with spiral husk decoration, atop square concave plinths with ram's head, swag and medallion motifs and beaded edges. 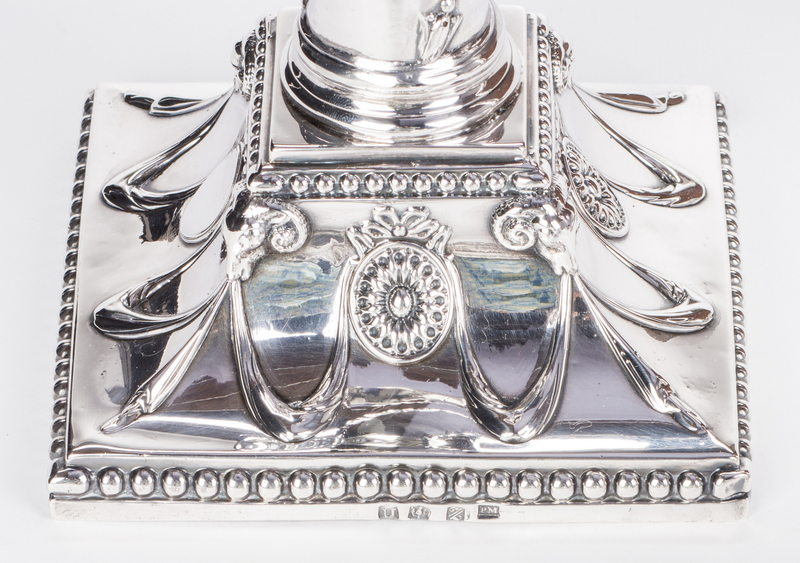 Pitch-weighted. 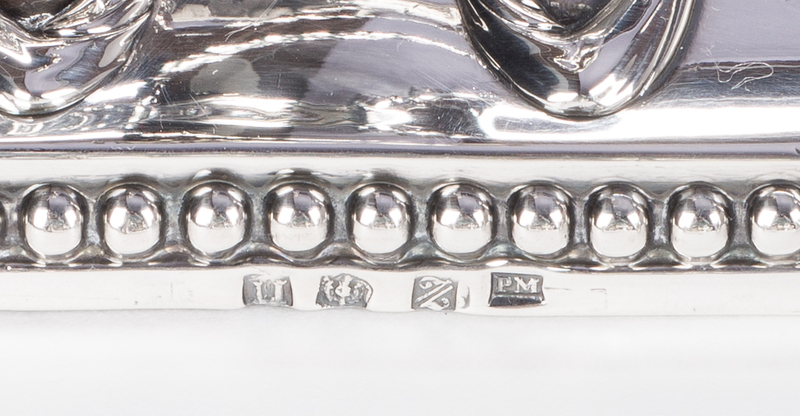 Marks for Edinburgh, 1778-1779, maker's mark PM or IPM, possibly overstamped. 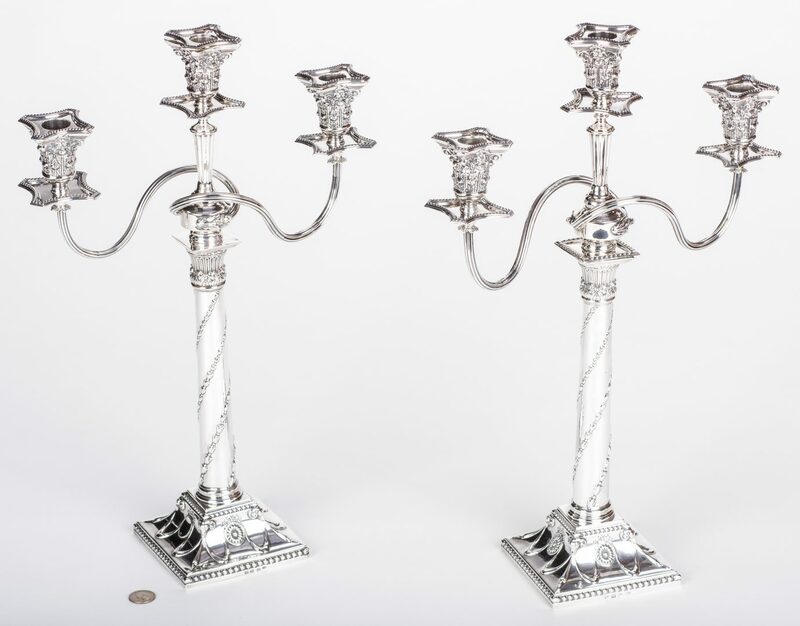 12 1/4" H. Branches with reeded arms and candle cups having Corinthian capital decoration over beaded bobeches, marked for London, John Aldwinckle and Thomas Slater, 1892-1893. 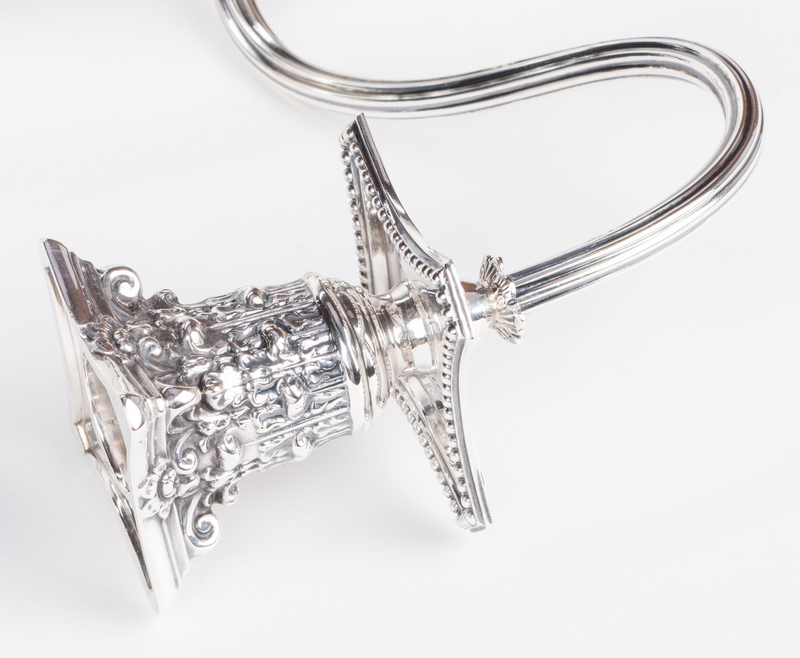 Branches – 7 1/2" H x 14" W, 36.05 oz troy. 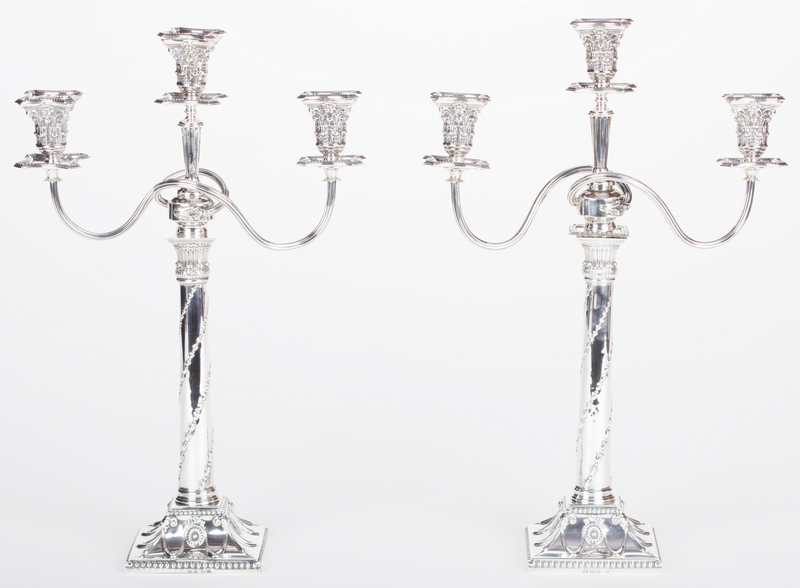 Provenance: Nashville, Tennessee estate. 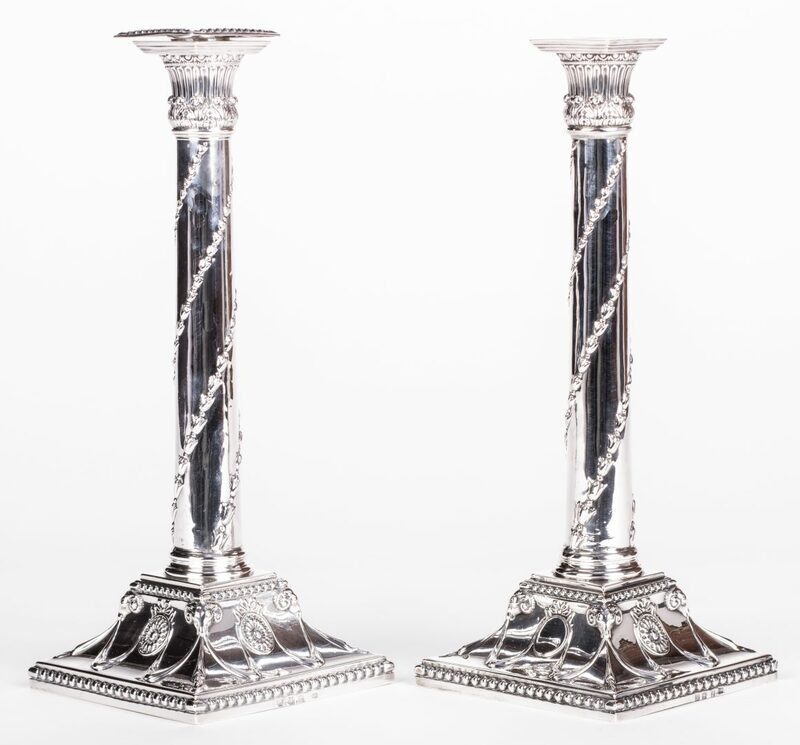 CONDITION: 1 stick has resoldered repair at bottom of shaft/top of plinth. 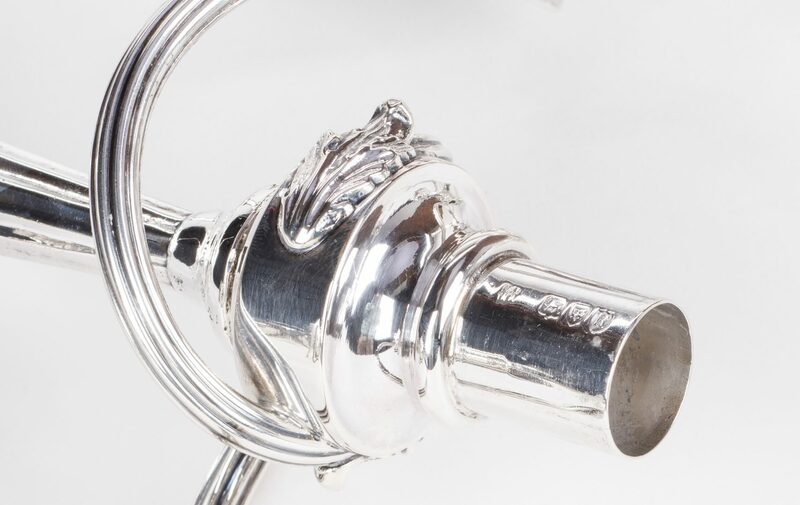 Branches have some slight loss of definition from polishing. 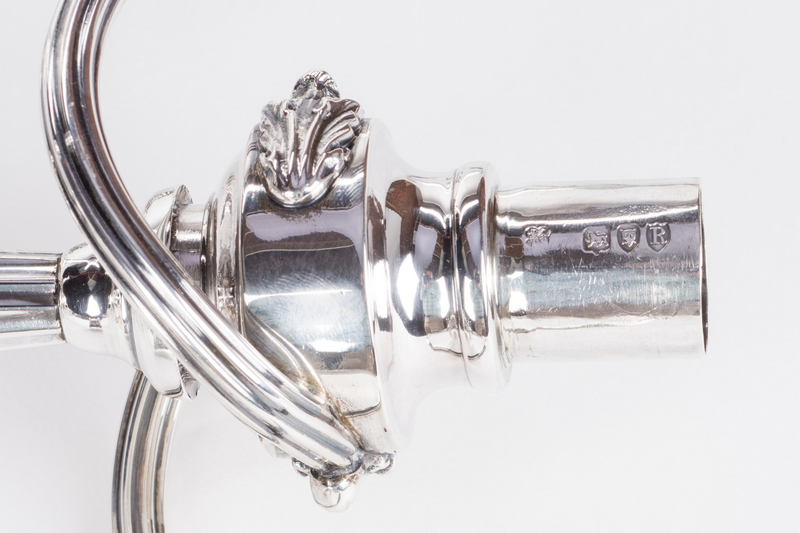 Central arm of one branch is heavier than the other with an unmarked socket – possibly a replacement in silverplate (other socket is marked). Square bobeche missing for one candlestick.